A planning decision by Lambeth Council could deprive brands of one of their favourite and most impactful outdoor advertising sites within the next few years. Lambeth this week said it wanted to allow the construction of a tall (up to 130 metres) building on the site occupied by the drum-shaped IMAX cinema next to Waterloo station. The cinema is wrapped by a 120-metre-long,14.4-metre-high advertising canvas that gets seen by 3.5 million adults over two weeks, the highest adult reach of any single site in the country, according to its ad sales partner Ocean Outdoor. The site is hugely popular with deep-pocketed brands that want to stand out and is said to cost in the region of £200,000 to book for a fortnight, including production. "It’s a primary example of the few locations that clients ask for by name," said Glen Wilson, managing director of outdoor specialist buying agency Posterscope. Nothing is expected to happen to the site anytime soon, as the council is at the very beginning of the drawn-out, contentious nature of securing planning permission in central London. Even should the process run fairly smoothly, the demolition stage will not be reached within three years from now, one planning consultant, who did not want to be identified, told Campaign. The IMAX site is owned on a long lease from Lambeth Council by the British Film Institute (BFI), which told Campaign it would not comment on what it and Ocean Outdoor described as "pure speculation". The next stage of the planning process takes place next Monday (15 October) when the council’s cabinet votes on whether to approve the wider plan it has put forward around future development in Lambeth. However, the planning consultant said he expected plenty of other obstacles to crop up, including a probable intervention by the Greater London Authority, complications arising from the site’s location close to the Lambeth/Southwark border, and the difficulties of bringing tall buildings forward following last year’s Grenfell Tower fire. 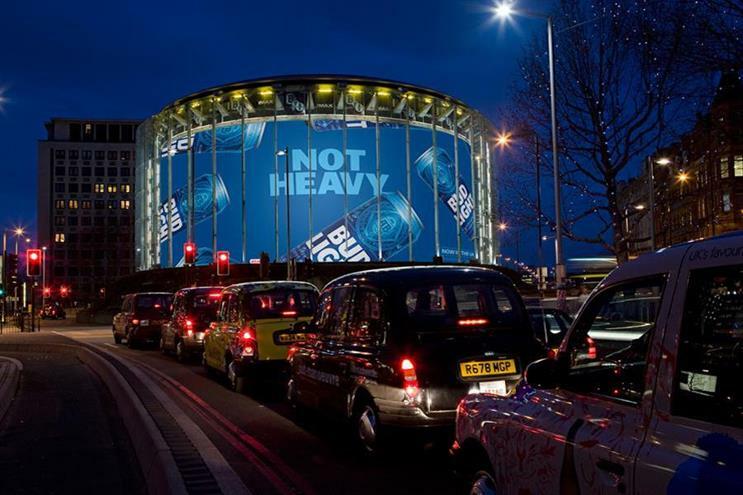 Ocean Outdoor also handles sales for the even more iconic Piccadilly Lights, which are mainly occupied by brands with long-term deals such as Coca-Cola. Separately, ITV has decided it will permanently vacate its Southbank offices and studios, opting to sell the site rather than return after its planned redevelopment.